Lotus Notes to Outlook Express converter is a type of the application program that export NSF files to EML format without any hassle. 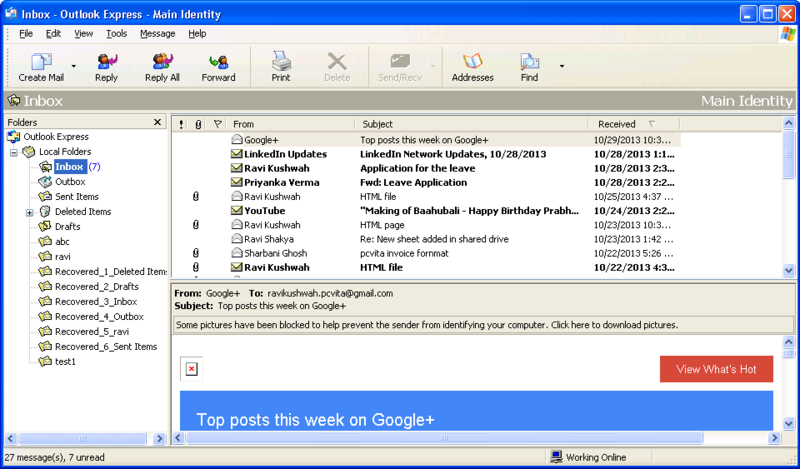 This software permits its users to convert all emails stored in NSF to EML file format along with the attachments. NSF to EML converter software doesn’t requires Outlook Express software to be installed in the user’s PC. It supports all versions of Outlook Express namely, 6.0, 5.5, 5.1, 4.0 etc. 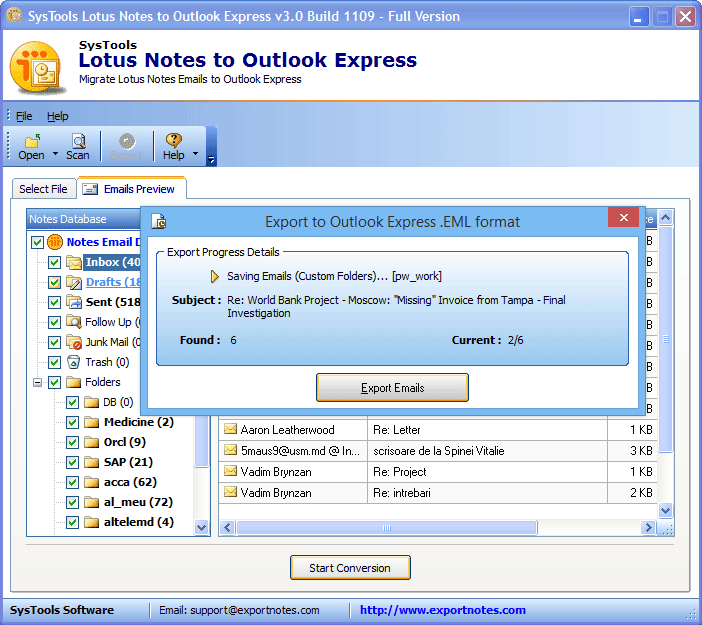 With the help of this Lotus Notes to Outlook Express Migrator, a user can easily export IBM Notes folder into EML files. It converts each and every email along with embedded attachments to EML format. Moreover, the software creates a file for every email stored in inbox, drafts, sent items, etc. In addition, the software maintains all metadata belongs to each email in NSF file. 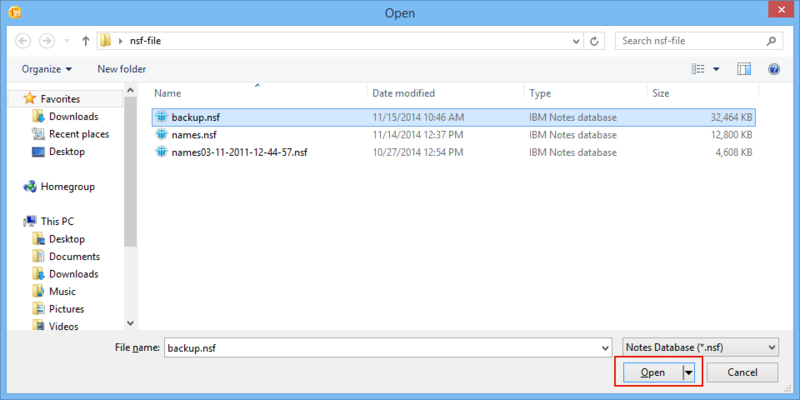 As a user loads the IBM Notes file, the software immediately scans the entire NSF file. However, as the scanning finishes, it provides an instant preview of all data items stored in NSF file. One can easily view the emails stored in inbox, outbox, sent items, drafts etc., with all its associated attributes such as to, the size of email in KB, from, subject, email address. 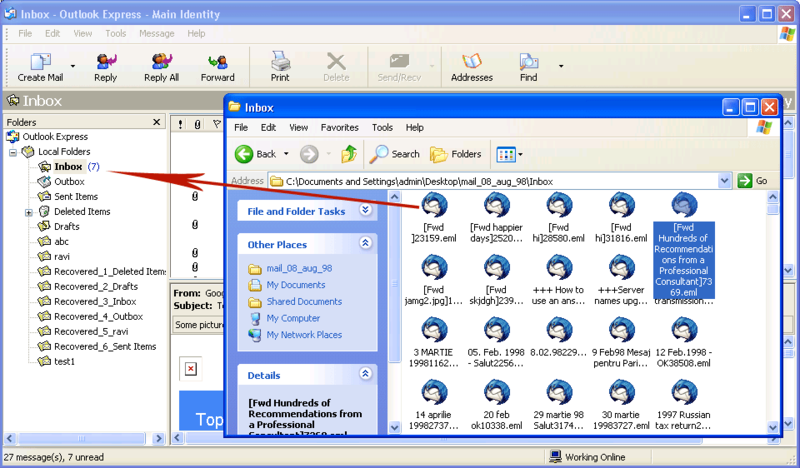 After scanning the NSF file completely and previewing its content, a user can migrate the folders to file. However, the IBM Notes to Outlook Express Converter permits users to export emails in all folder as NSF to EML format in bulk also without compromising data integrity. One just needs to select Export button in the menu bar to convert Lotus Notes to EML file in bulk. Another impressive feature that makes this tool better than others is it keeps the on-disk folder hierarchy. It means the structure in which files and folders are saved in Lotus Notes as NSF is retained in an original manner by the tool. 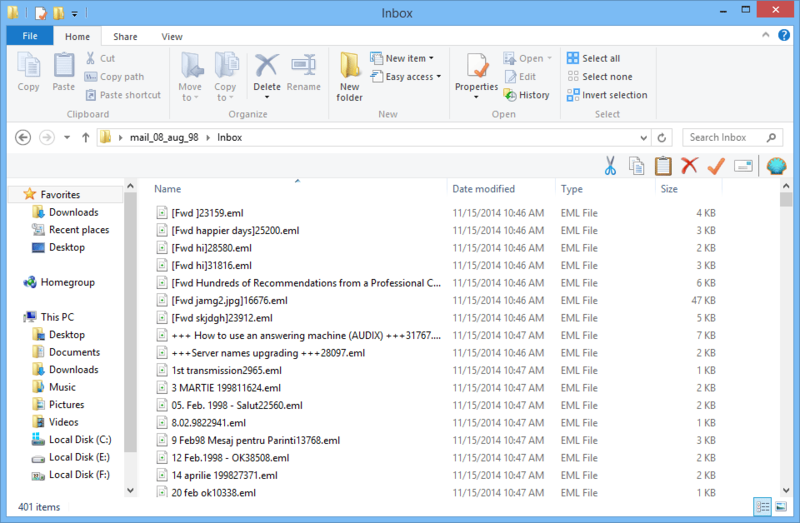 There is no modification with the original folder hierarchy even after the completion of export emails from Lotus Notes to EML in Outlook Express. Sometimes emails may contain important information and details, for example, images, urls, graphics, attachments, etc. Moreover, there can be multiple formatting in the text of email body to highlight some important information. 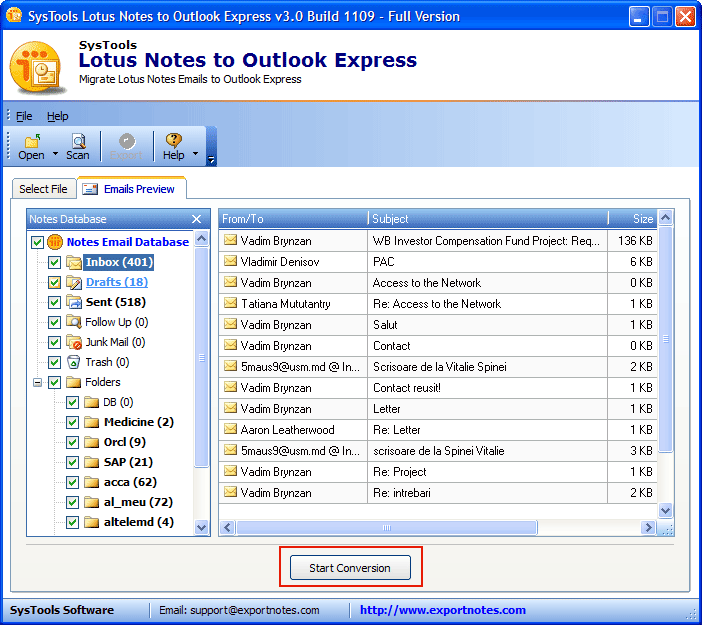 Therefore, this is the best tool to perform Lotus Notes Mail to Outlook Express conversion without any loss of data. 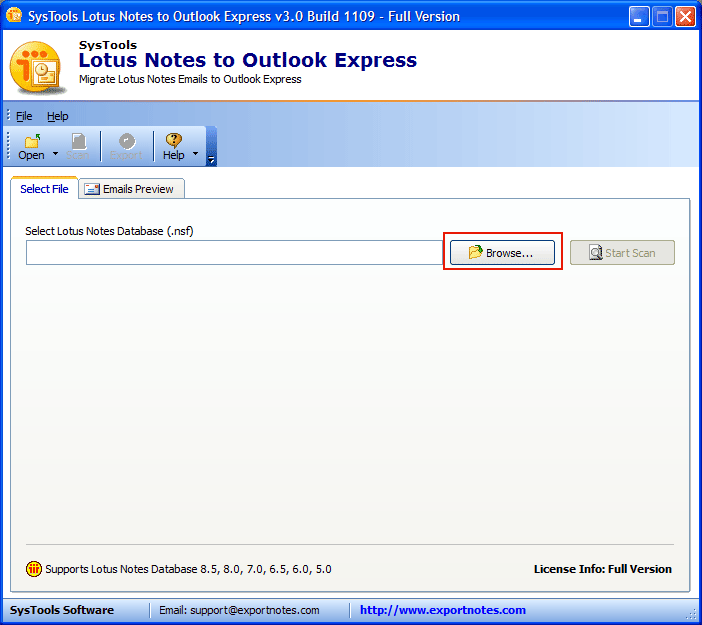 How to Configure Lotus Notes in Outlook Express? 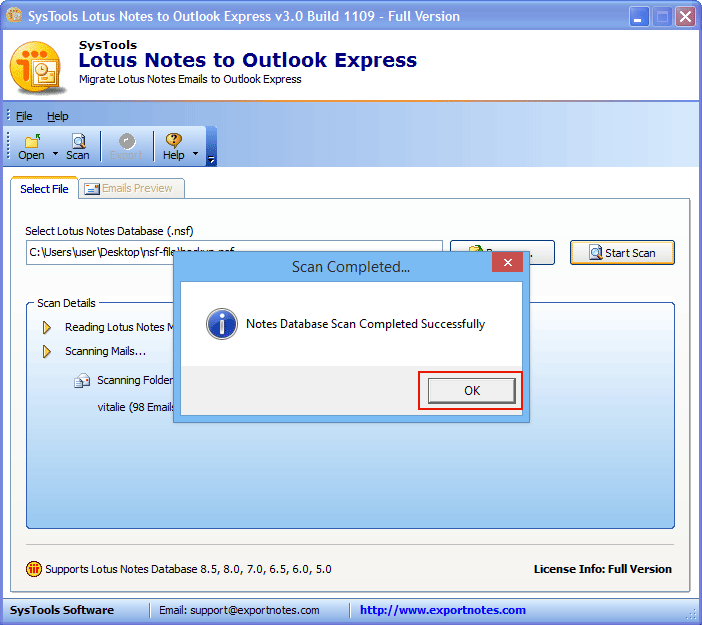 Step 14 : Next, just drag and drop the Lotus Notes NSF files into EML format application. Q. 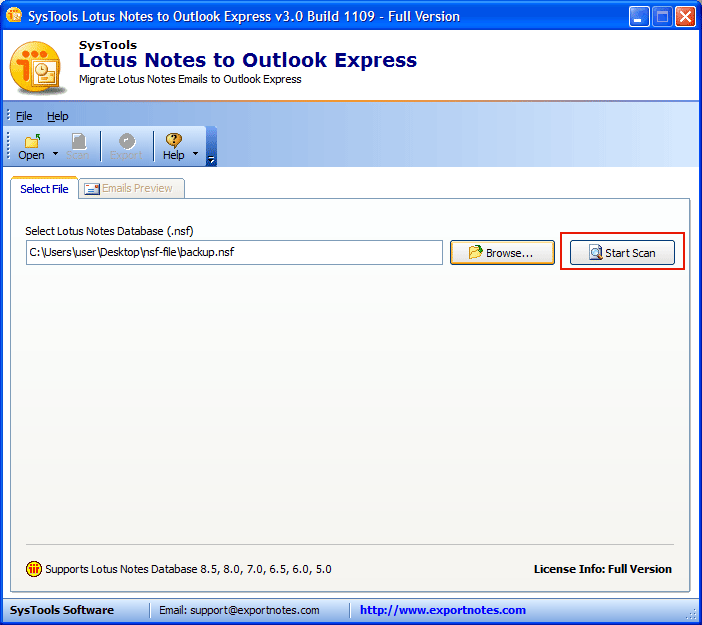 Does the IBM Notes to Outlook Express converter allow to export NSF mail to EML format without Lotus notes installation? 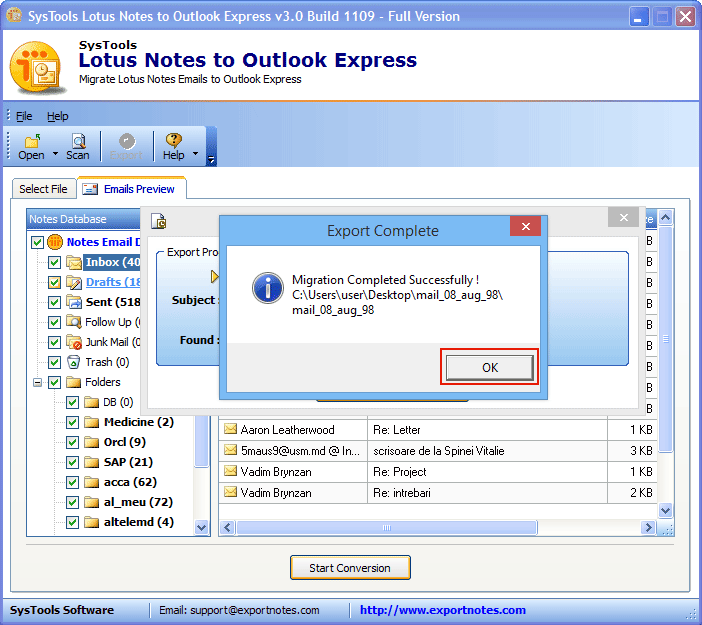 Ans: No, to export NSF emails to Outlook Express successfully, it is necessary to install Lotus Notes 9.0 or any below version on the machine. Q. 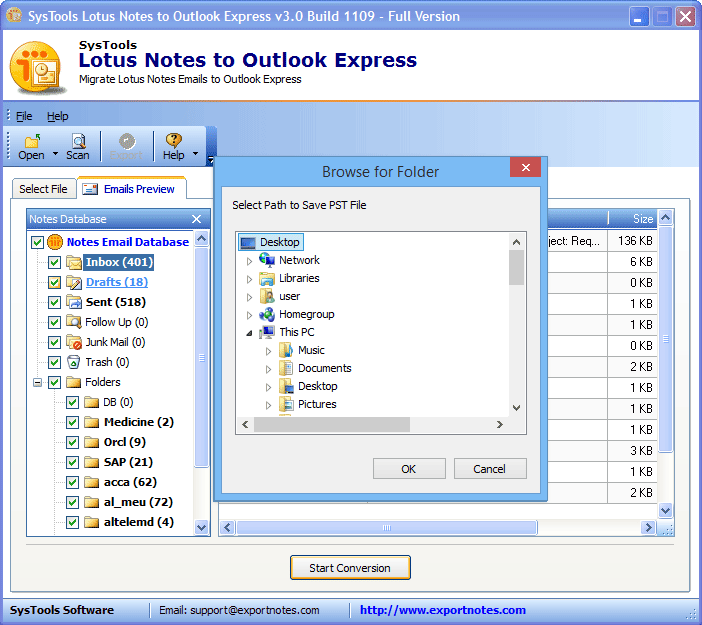 Can I export any number of NSF file emails using this SysTools Lotus Notes to Outlook Express exporter tool? Ans: Yes, a user can easily export any number of emails stored in a single NSF file along with attachment without any hassle. Q. Does the software recover corrupted NSF to EML format? Ans: No, the software export only healthy NSF emails to Outlook Express account. It does not recover corrupted NSF file. Note: NSF to EML Converter Software will get delivered on your registered email id, within few minutes after placing the order. 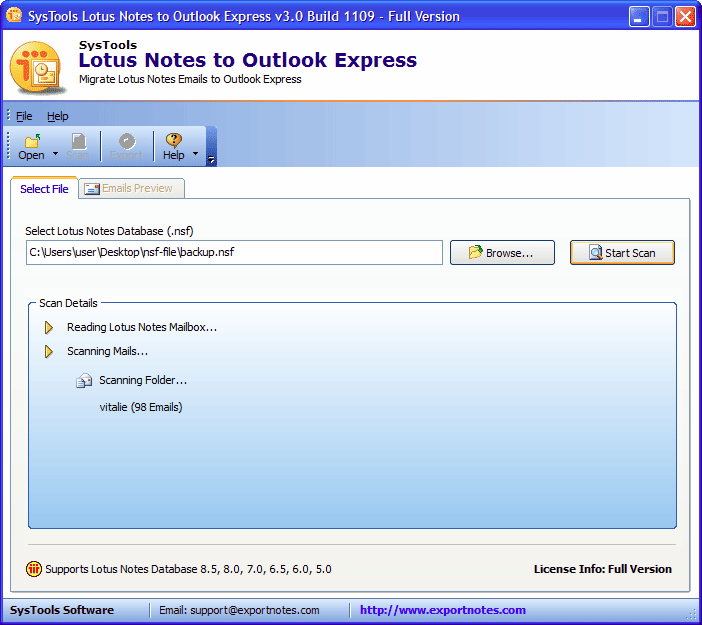 It would not be wrong if I say that Lotus Notes to Outlook Express is one of the best application I have ever seen till yet. Believe me, this tool is amazing in its working. 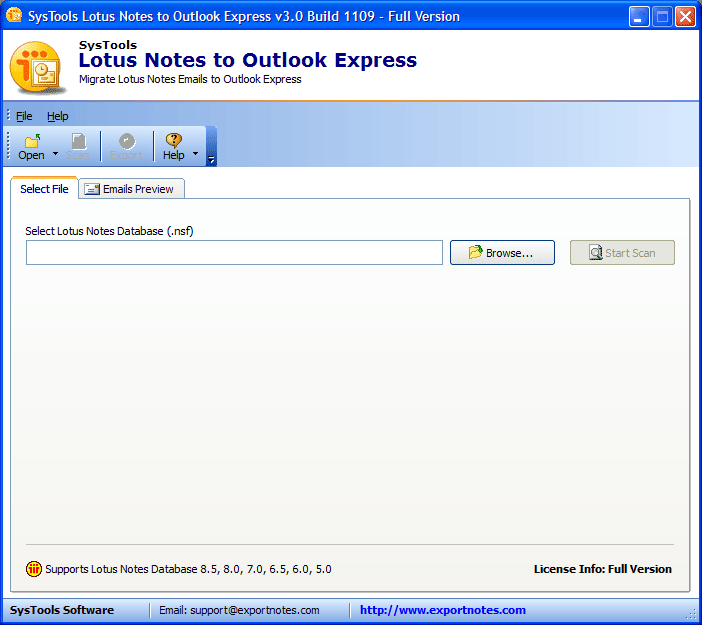 I have converted all my Lotus Notes emails to Outlook Express via this utility. I want to pay my regards to the whole team from the bottom of my heart. Performing file conversion is the most difficult task for me as I am not at all good with it. 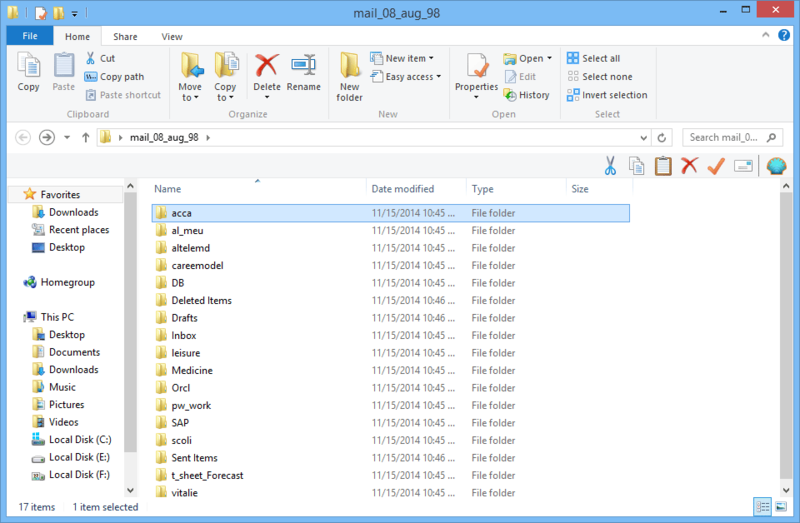 However, using this IBM Notes to Outlook Express migrator I found it really easy. It is because the NSF to EML Converter software supports such a user-friendly interface that even a non-technical user like me can use it without any difficulty. Thanks to the developers for developing such a great user interface.